German EC Boxing have as previously reported three shows scheduled beginning with August 28 in Galati (Romania) where heavyweight Christian Hammer (17-4) headlines and take on experienced and still dangerous veteran Sherman “Tank” Williams (37-14-2). 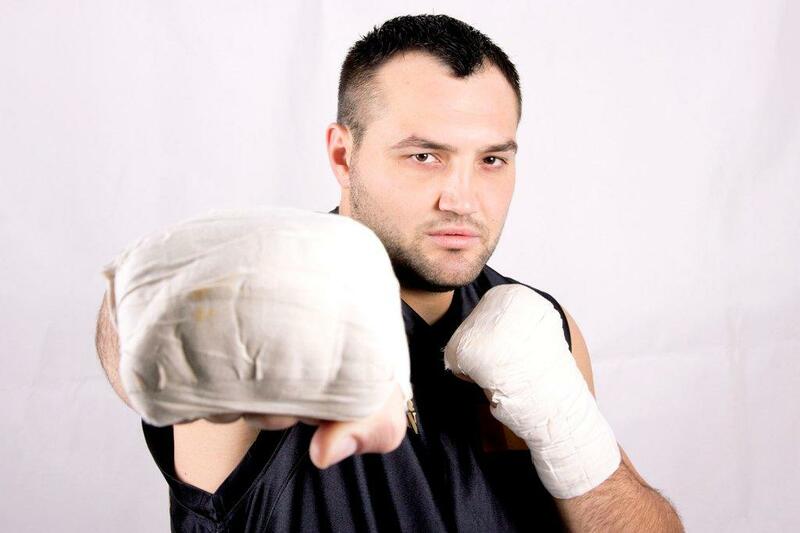 On the undercard Hammer's (pictured) stablemate Adrian Granat (7-0) face Liviu Ungereanu (2-16). The show in Mostar (Bosnia) featuring Damir Beljo (20-0) vs Nuri Seferi (36-7) is moved from September 5 until September 15. Lightheavy Karo Murat (27-2-1) is now to be featured on the undercard while Adrian Granat and Nikola Milalic now both off the bill. On September 19 (moved from Sep 12) in Gifhorn (Germany) EC Boxing join forced with Wiking Box Team and supermiddle Eduard Gutknecht (28-3-1) headlines and take on Geard Ajetovic (26-11-1) over ten. Cruiserweight Nikola Milalic (9-1) go up against Oeczan Cetinkaya (21-10-1) with the Int'l German (BDB version) title at stake. And Adrian Granat will take on Konstantin Airich (31-14-2) in a six rounder that marks the first test in his career.